The Adaptive Computing Technology Center works with many departments on the MU campus, as well as off-campus agencies, vendors and social networks to help provide the best support possible for our clients. The lists below encompass a variety of services and programs around mid-Missouri. A committee that advises the provost on MU programs, services and policies for persons with disabilities. This division supports campus diversity programming that creates an inclusive and welcoming campus. Has the responsibility of making sure MU complies with Americans with Disabilities Act (ADA) policies. Provides academic accommodations and support for persons with disabilities at the University of Missouri. The center’s mission is to provide accurate, quality, confidential services on the ADA and related disability laws. A central place to find resources, referrals, writing programs and many other student-oriented services. Short-term assistive technology equipment loan program for school districts and agencies in Missouri. Loans can be applied for by Missourians with disabilities, family members, etc. for wheelchairs, electric scooters, hearing aids, computers, etc. Adaptive computer equipment and training needed for basic access to the Internet. A state agency, located around Missouri, that provides services to people with a visual impairment. 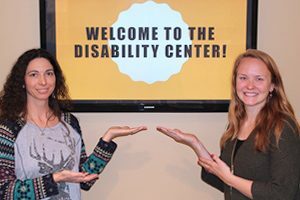 A not-for-profit center for independent living (CIL). A governmental program dedicated to providing quality services to increase independence.